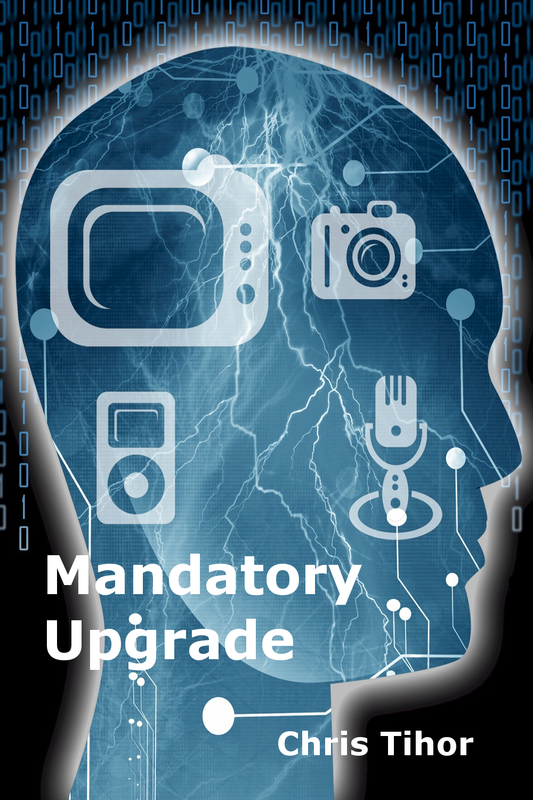 Mandatory Upgrade – In the Future, Survival Depends on the Latest Updates. Premium game available on innovative new platform that brings story based games to the casual gamer. March 9, 2016 – Victoria, BC, Canada – Ironic Iconic Studios’ first game, “Mandatory Upgrade – X Marks the Spot” is an exciting new story-based game that allows the player to assume the role of a government agent investigating a death by a suit of cybernetic armor run amok. Starting today, it’s available on Facebook and the web through the Story Worlds platform. Story Worlds was devised by One More Story Games as a way to create narrative-focused storytelling games and deliver them to a wide audience through traditional casual game platforms, such as smartphones and tablets. Ironic Iconic Studios saw Story Worlds as the perfect venue to release X Marks the Spot as the game addresses both the rising demand for story-based games while being playable within a few hours time to reflect the trend towards shorter, more compact experiences. You’re Rachel Varley, fresh out of re-entry training and eager to get back to work as a NASIA Agent. But before you get a chance to get your feet under you, you find yourself tasked with discovering how a fellow agent managed to get carved up by a mechanized SWAT suit. Sure, everyone at the West Harbour Complex seems happy to help out and answer your questions, but you can’t forget that one or more of them may have been involved in plotting someone’s death. At least you’re not alone, you’ve got your trusty drone Osprey and your Virtual Personal Assistant, the always sassy Brigid. Will you be able to get to the heart of the mystery and still manage to escape in one piece? Mandatory Upgrade – X Marks the Spot is now available on the Story Worlds games portal, with a free demo version available prior to full game purchase ($3.99 CAD). Play it on Facebook and the One More Story Games website. For more information, please visit www.mandatoryupgrade.com/x-marks-the-spot. Ironic Iconic Studios has been making games since 2003 in Victoria, British Columbia, Canada. Their clients include Harebrained Schemes, Tap Tap Tap, Paper Machete Games and GameHouse Canada. This is the launch of their first in-house game. Good news for those who have been waiting for the launch of X Marks the Spot, the interactive cyberpunk mystery game set in the world of Mandatory Upgrade: the release date has been set for Wednesday, March 9th, 2016. That’s less than a week away! For the last nine months, we’ve been working hard in partnership with One More Story Games to produce a game worthy of the Mandatory Upgrade name. Using their new interactive story engine StoryStylus to create the game, X Marks The Spot will be made available on mobile, Facebook, and the web through their Story Worlds platform. In X Marks the Spot, you’re Rachel Varley, a Special Agent working for the North American Security and Intelligence Agency. Your first assignment is to solve the mystery of a gruesome death at NASIA’s West Harbour Complex. To do so, you’ll need to use all of the futuristic technology at your disposal, not to mention your own considerable wits and investigative prowess. Are you up for the challenge? Look for Mandatory Upgrade: X Marks the Spot at Story Worlds starting on Wednesday, March 9th or watch this website for the official launch announcement.